66 716 waiting in the sidings at Wansford for the proceedings to start. 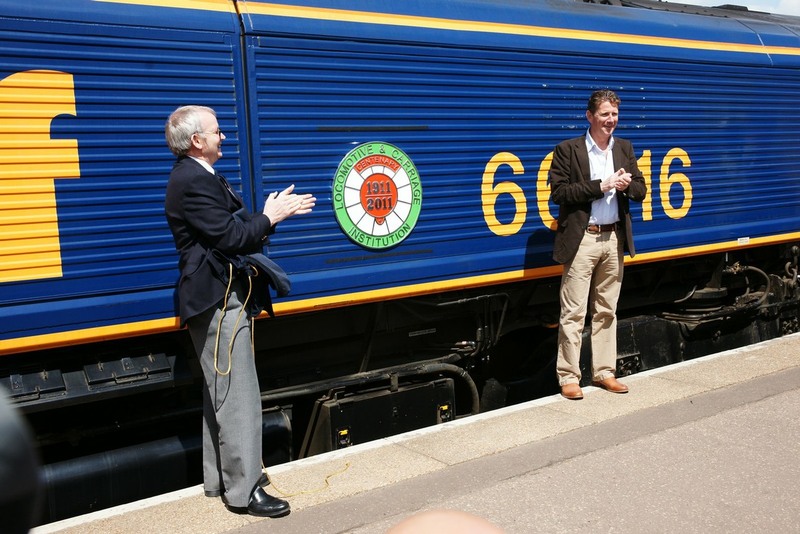 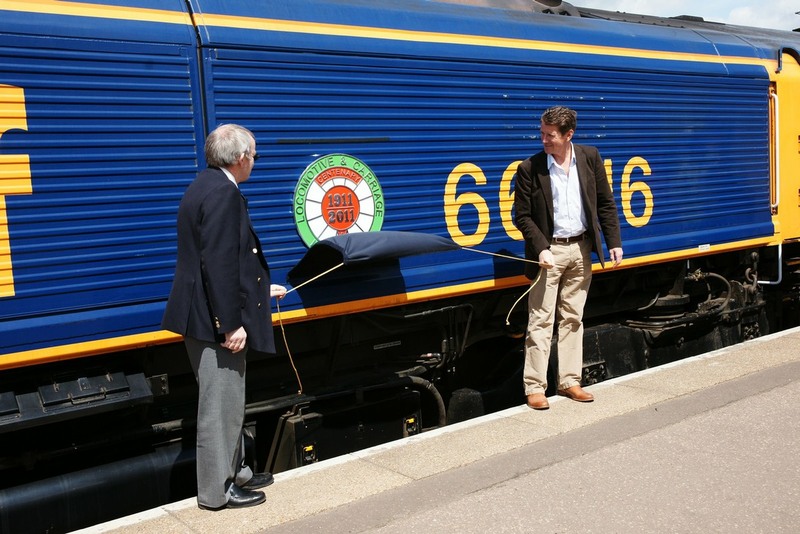 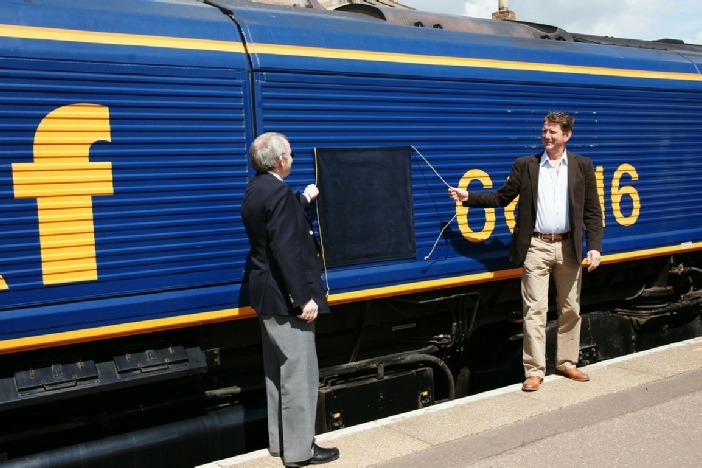 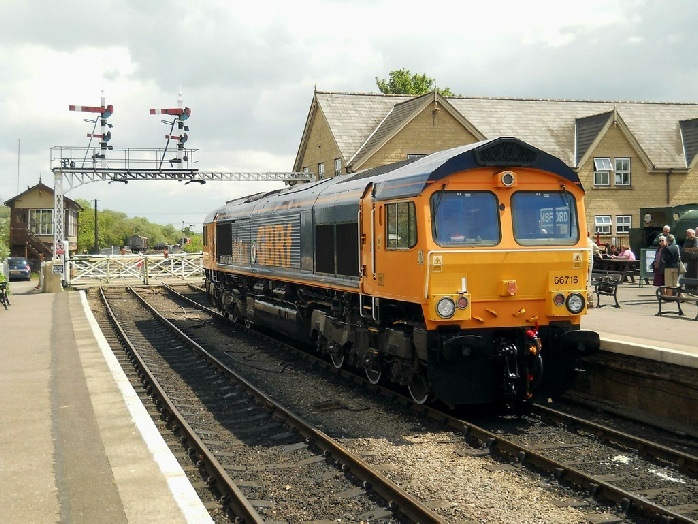 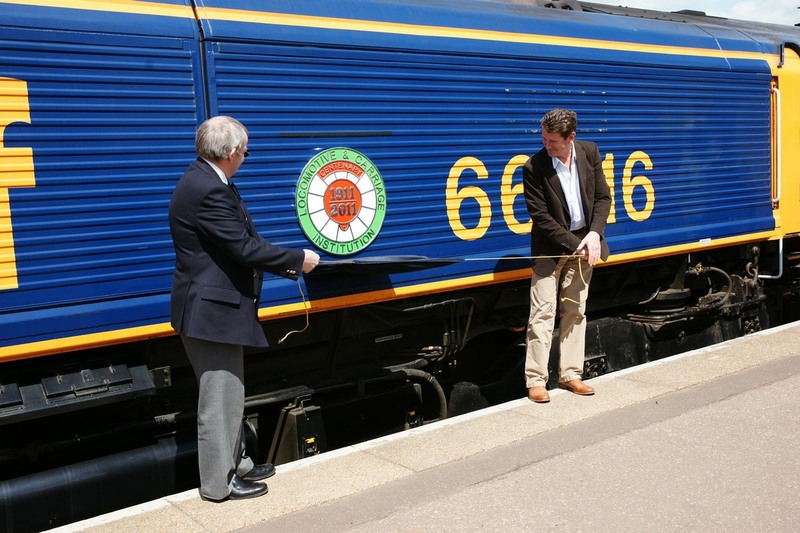 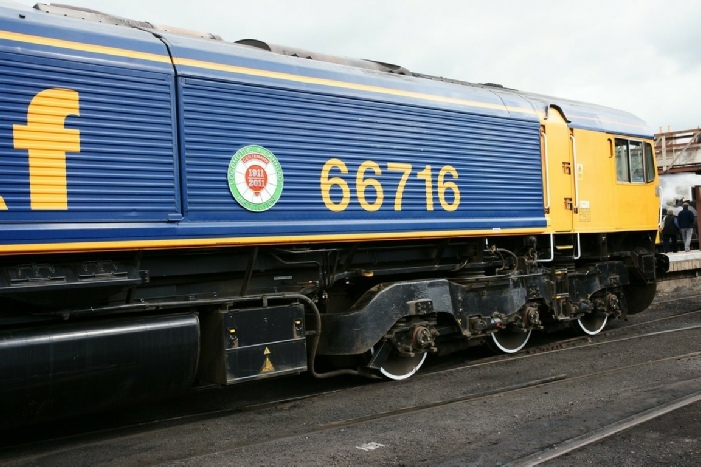 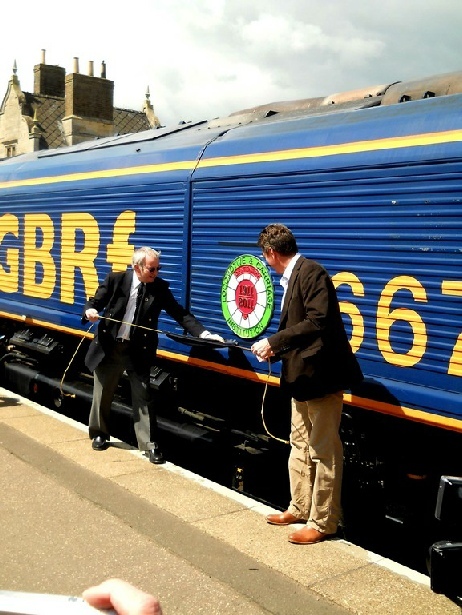 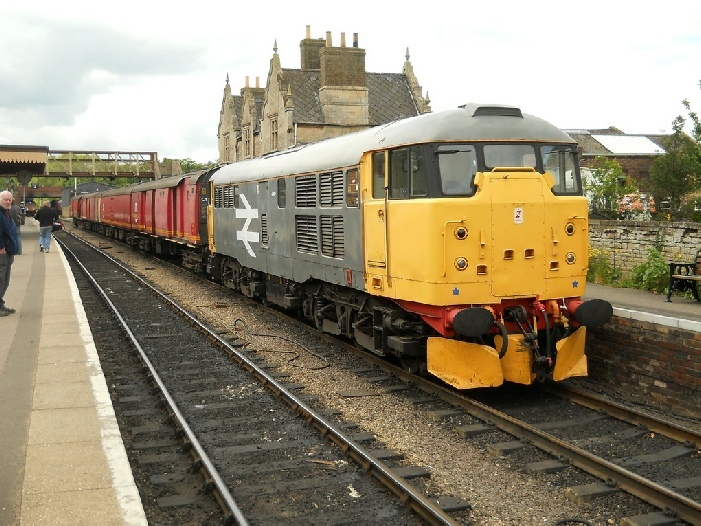 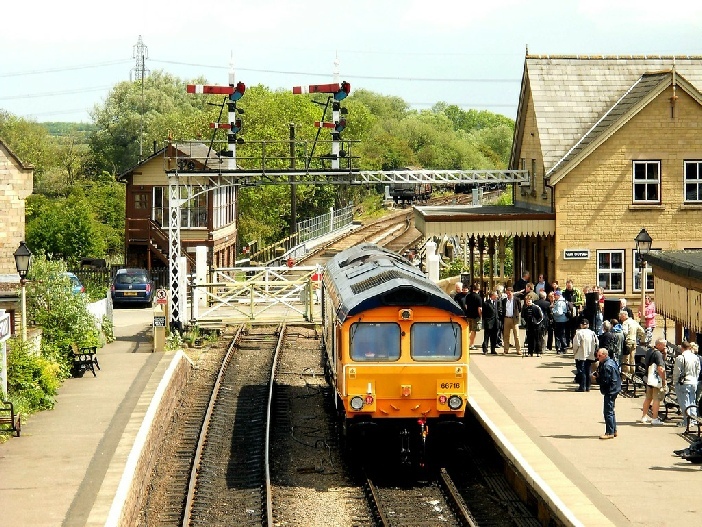 66 716 was then put in position in on platform 2 at Wansford ready for the naming. 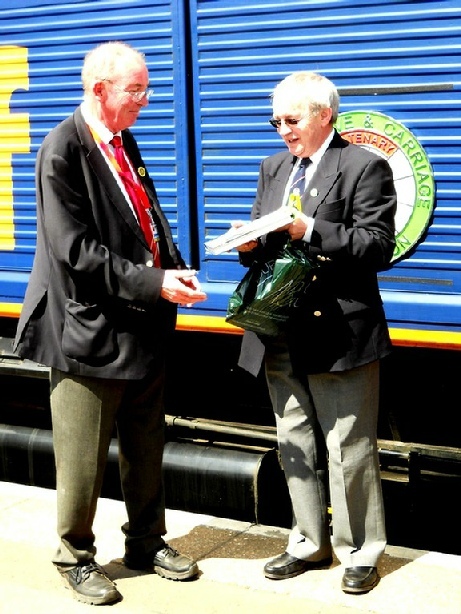 Nick Agnew (right), President of the Locomotive & Carriage Institution introduces the naming proceedings and gives a short history of the Institution from our formation as the Institute of Locomotive Inspectors and Foreman in 1911 up to our Centenary in 2011 when we have over 300 members. 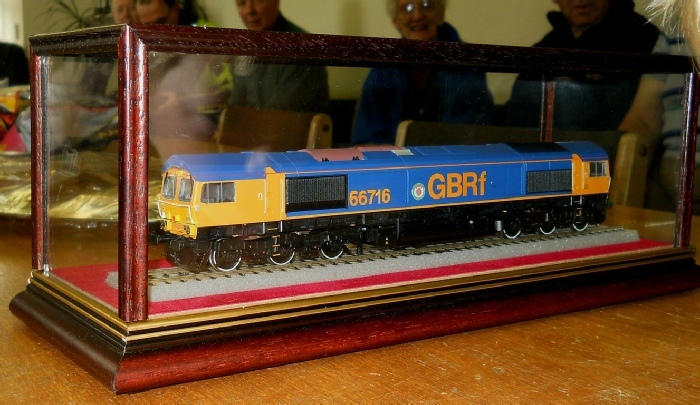 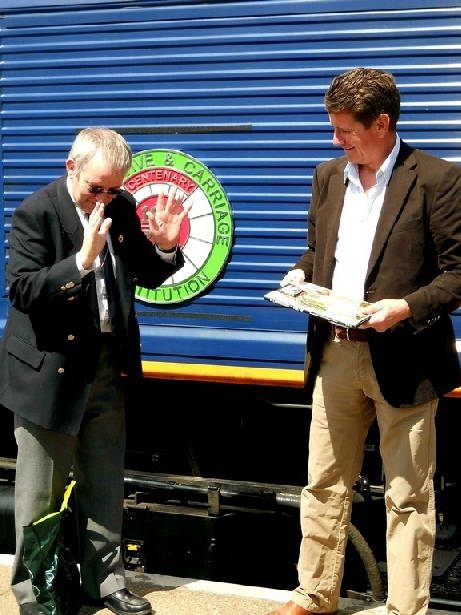 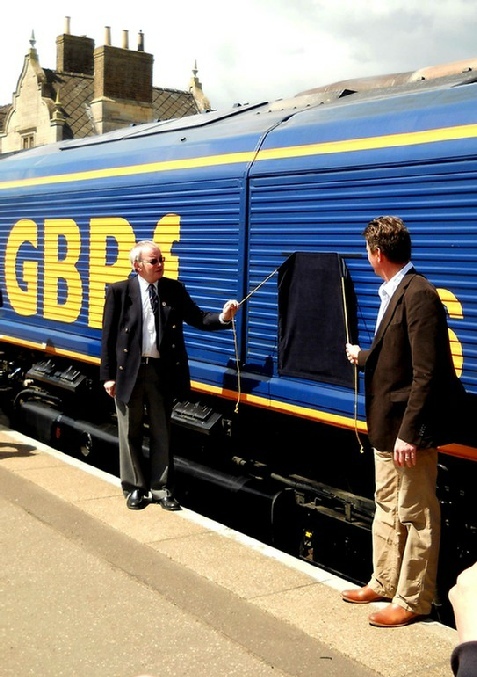 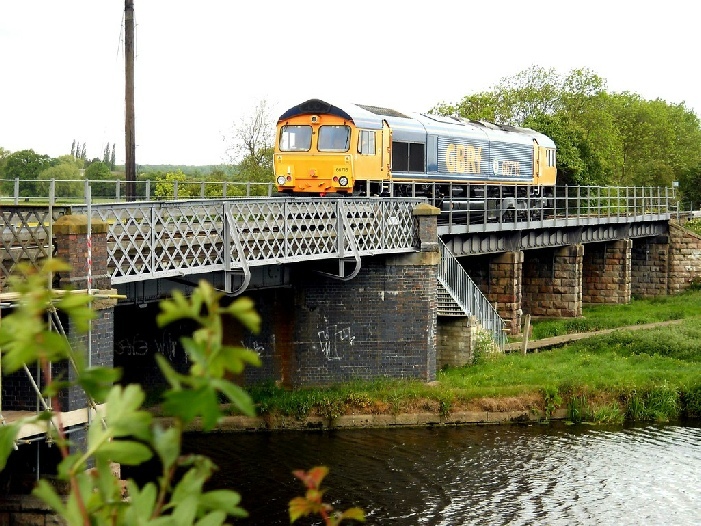 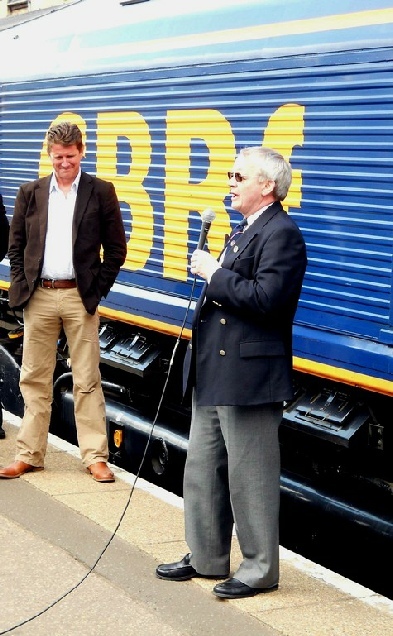 John Smith, Managing Director of GB Railfreight on the left. 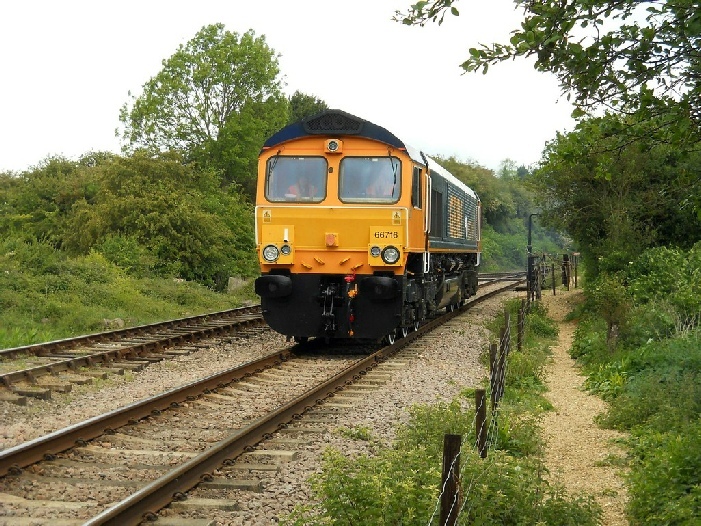 John Smith, Managing Director of GB Railfreight then outlines a brief history of GB Railfreight from a fledgling set-up in 1999 with around ten employees operating some services to Railtrack (as was) to the International company today, with 350 employees operating from Fort William to Penzance. 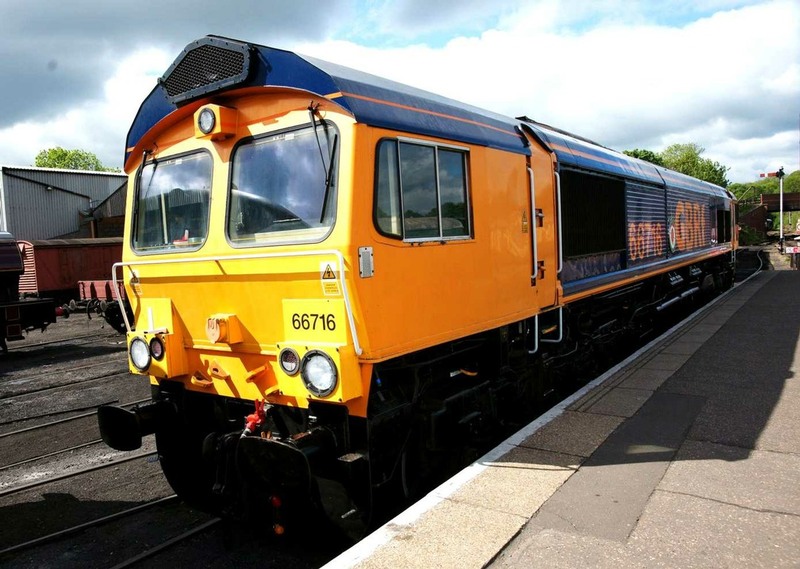 The company is now owned by Euro Tunnel and ran the first train from Navarro in Italy to Daventry around two months ago. 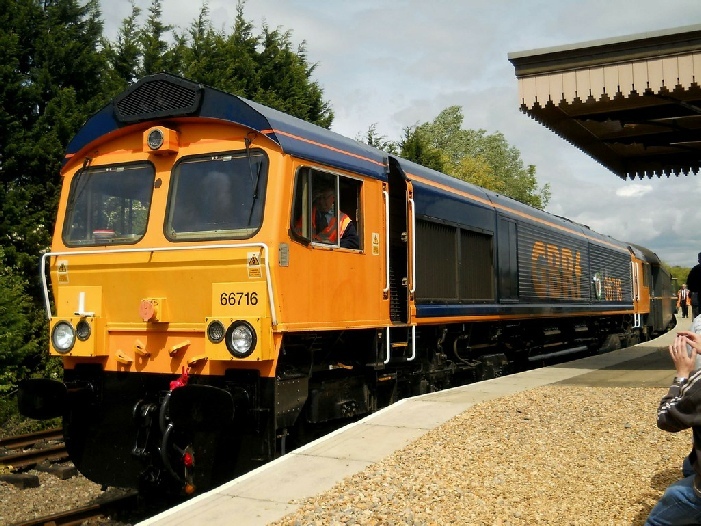 With new ownership the company is looking at new opportunities in mainland Europe, exploiting the Channel Tunnel so as to get more freight onto rail. 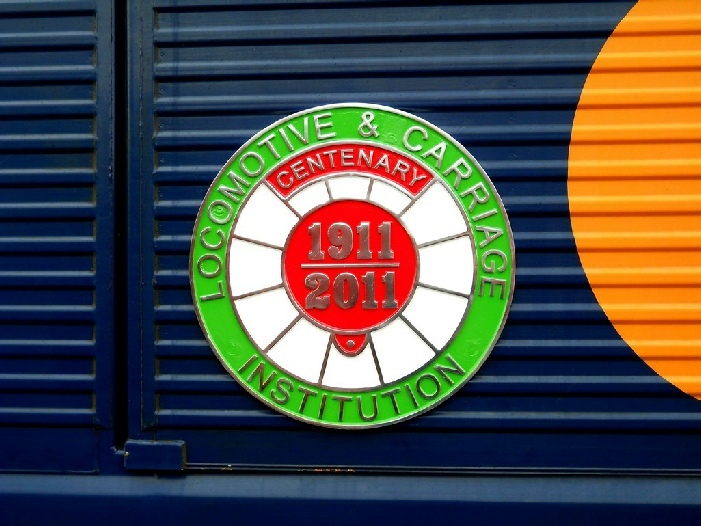 John Smith is also a member of the Locomotive & Carriage Institution. 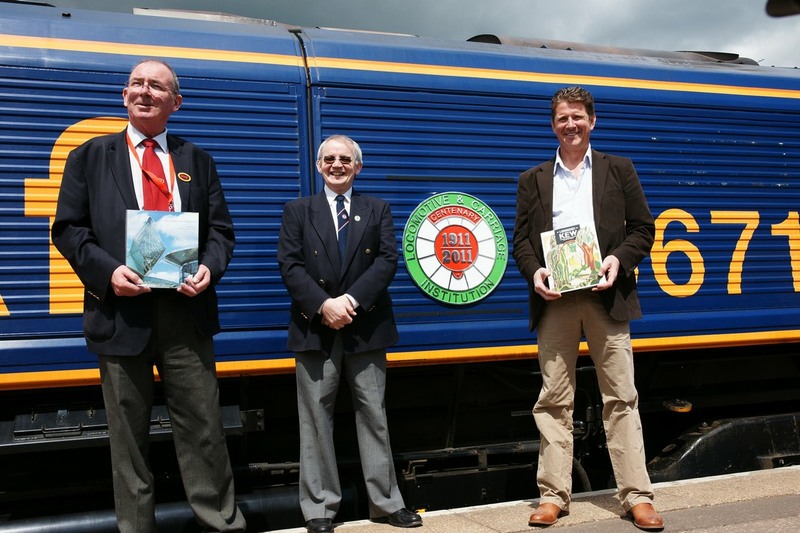 Before then presenting Cris Rees, General Manager of the Nene Valley Railway with the book on the Jubilee Line. 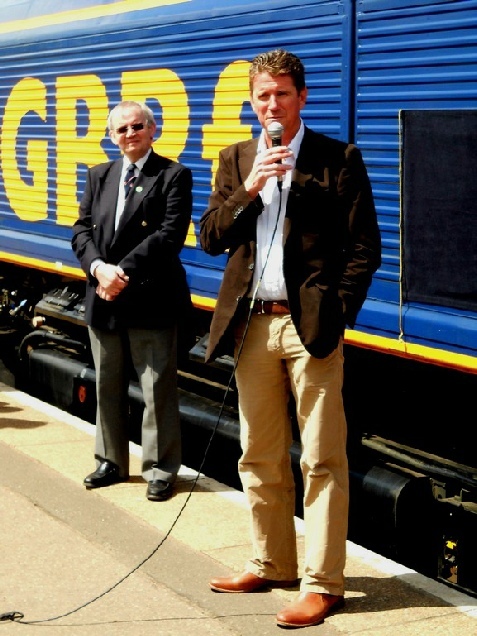 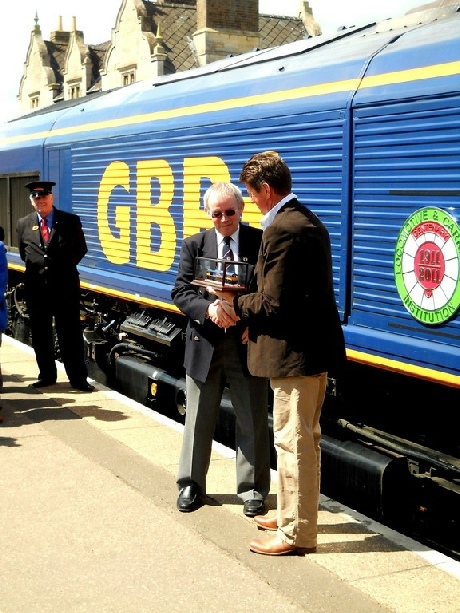 We would like to give our very grateful appreciation to John Smith of GB Railfreight for agreeing to name the Locomotive, the Nene Valley Railway for allowing us to use their facilities and being brilliant hosts for the day and finally Peter Lindop of the Locomotive & Carriage Institution for all his work organising the event.